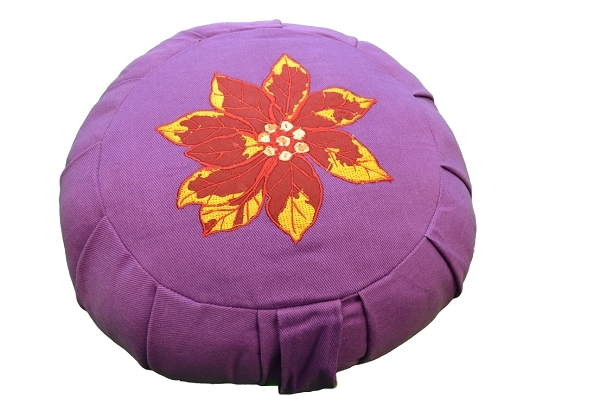 A traditional meditation cushion, our zafu is available as a round or crescent-shaped cushion with pleated sides. Each zafu has a sturdy handle sewn tightly on one side. 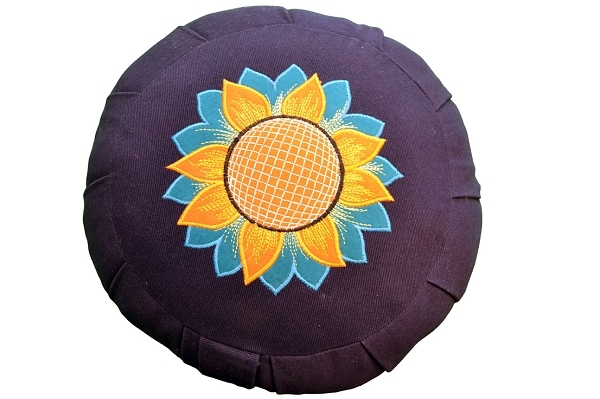 The cushion raises the hips, making the entire range of cross-legged sitting positions more stable and comfortable. The zafu originated in Japan, made popular in China, and used to be filled with cattail. Now they're stuffed with 100% natural cotton or buckwheat hulls. The filling is densely packed to provide a solid cushion, and yet is soft enough to be comfortable since the zafu is made with all natural fibers. 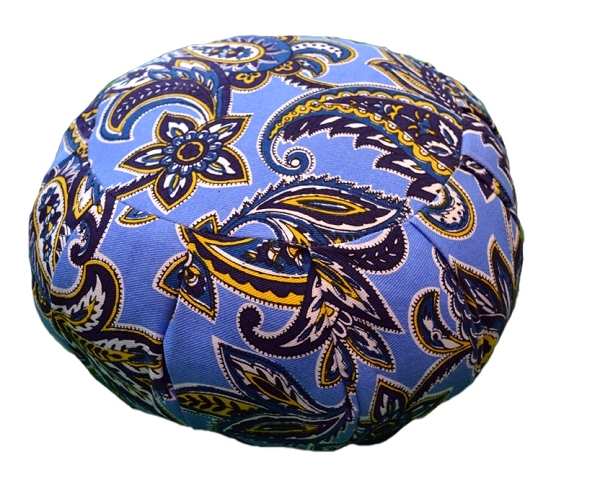 The outer cover is made of your choice of luxurious silk or a sturdy 100% twill cotton. The zafus have a smaller zippered opening, neatly hidden between pleats, that can be used to remove the cover and wash it. 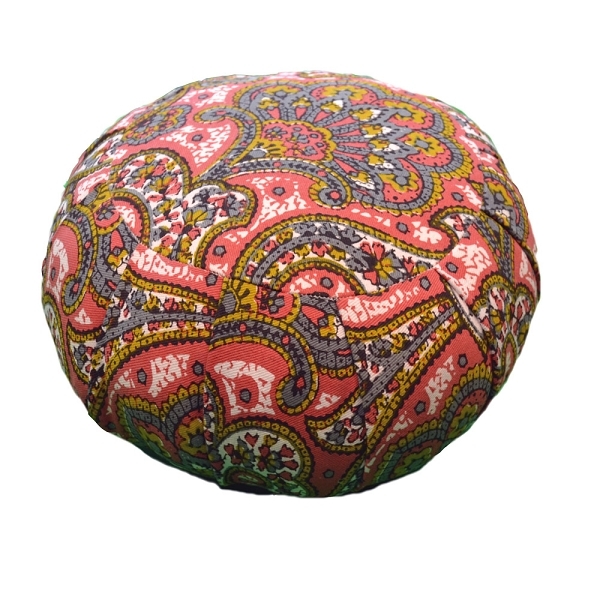 You can also adjust the amount of stuffing in each zafu, thus changing the height and the firmness. 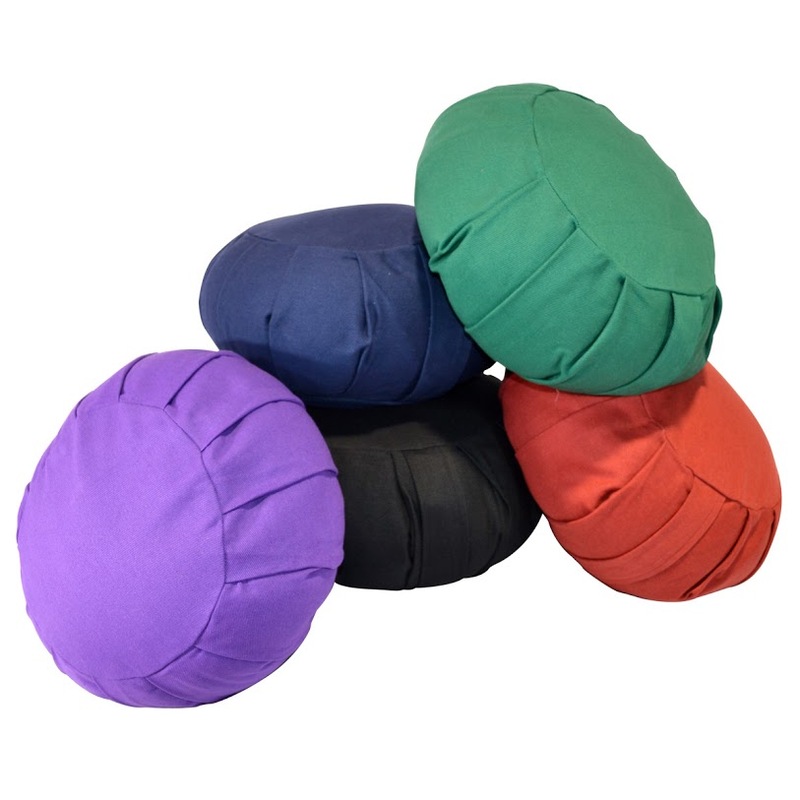 Each zafu is 15'' in diameter and 6'' in height, and is available in a variety of colors. 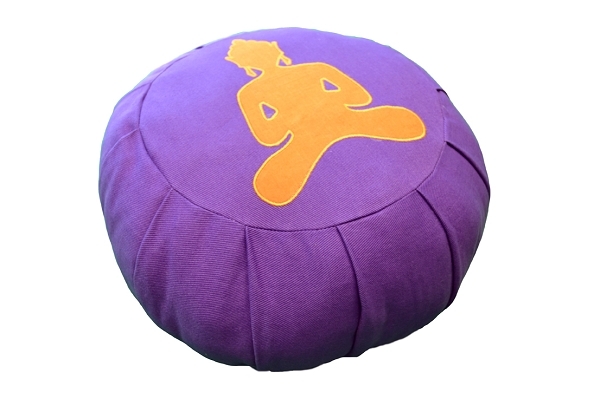 Zafus are typically used with a zabuton cushion to provide comfort and support to assist you in your sitting practice.